Dr. Shepherd is a member of the GU Board of Trustees, he also teaches philosophy and theology at Tyndale University College and Seminary. He also serves as adjunct professor of theology at Toronto School of Theology (University of Toronto), where he supervises PhD comprehensive examinations and dissertations on themes pertaining to the Protestant Reformation (and related traditions), as well as the Puritans and Wesley. He is the author of twelve books: The Nature and Function of Faith in the Theology of John Calvin [now in its second printing], Seasons of Grace, So Great A Cloud of Witnesses, Ponder and Pray, Making Sense of Christian Faith, Witnesses to the Word [translated into Turkish in 2004], Our Evangelical Faith [translated into Chinese in 2013], Do You Love Me?—And other Questions Jesus Asks, Interpreting Martin Luther: An Introduction to His Life and Thought, A Ministry Dearer than Life: The Pastoral Legacy of John Calvin, Mercy Immense and Free: Essays on Wesley and Wesleyan Theology, and The Committed Self: An Introduction to Existentialism for Christians. 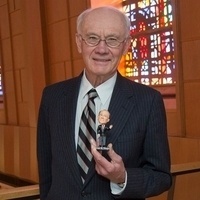 Prior to joining the Tyndale faculty in 1993, Dr. Shepherd served as adjunct professor in the Department of Church History, Emmanuel College, University of Toronto; the Department of Religious Studies, McMaster University; and the Department of Religious Studies, Memorial University of Newfoundland. A frequent lecturer, he has addressed learned societies both in Canada and abroad, including the North American Calvin Studies Society and the Oxford Institute of Methodist Theological Studies. He holds the position of Professor Ordinarius at the University of Oxford. Dr. Shepherd earned his doctorate in theology from Emmanuel College, University of Toronto, in 1978. In 1995 he was awarded an honorary doctorate from Roberts Wesleyan College in Rochester, NY, in recognition of his contribution to Wesley studies. He is also a longtime advocate for the mentally ill and the under-housed.